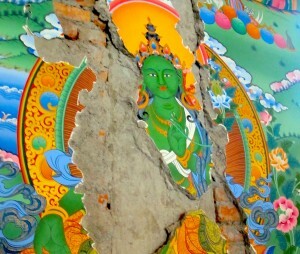 The Preservation of Treasures Workshop, concluded at Library of Tibetan Works and Archives, Dharamsala, India. Participants joined us from LTWA Library and Museum, Men-Tsee-Khang Medical and Astro-science Institute, Jamyang Choling Nunnery, Dongyu Gatsal Ling Nunnery, Tibetan Museum, Institute of Thangka Art, Central University of Tibetan Studies in Varanasi, and Government of India Ministry of Culture in Dehli, with visitors from Tashi Jong Monastery and Dzongsar Khyentse Chokyi Lodro Institute in Chauntra. Jim Canary shared a day on Preservation of Pechas. Participants were engaged in documentation practice, and risk assessment reporting during our on-site visits to local museums and monasteries. 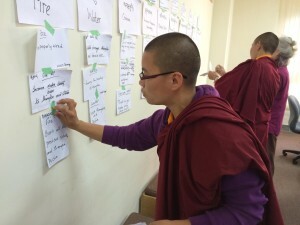 Upcoming workshops include invitations to Indian Institute of Technology, Tergar Monastery, and in Ladakh. 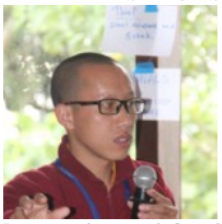 I am a student monk from lava monastery, India and today I would like to write about my experience on training I did for a week long in Sikkim, India. At monastery we monks do turns to look after our valuable things. So one day my teacher called me and said that I have to go to training to learn how to take care our art-forms, relics statues, dance costumes, etc. He added that we have join the training as it inviting and teaching for benefit of our monastery treasure. At training I met many peoples, monks, nuns, and lays. There I came to know that there is so much better way to take care our valuables. I learned many modern ways to preserve and protect our treasures which I was unaware of it before. 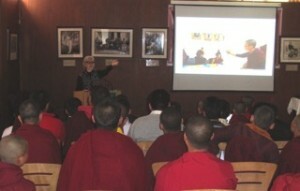 I enjoyed so much in learning with many monks and nuns. One reason I was sent to training was that I am better in english at my monastery, so I could learn and understand well and can teach and explain well about treasure caretaking to other monks at my monastery. 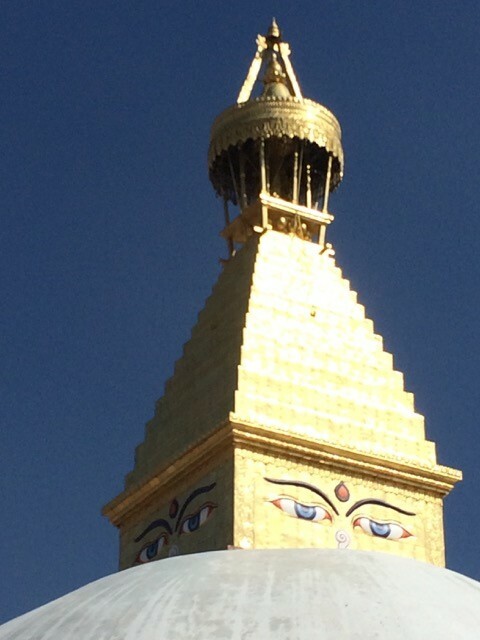 Best of this training I came to know is that there is many modern and easy way to protect our monasteries valuable treasure which we can reduce risk of damaging, lost and theft, and keep our treasure protected safe for many many years. So what I am thinking now is that it will be so beneficial and welfare if many caretakers of treasure can get trained and come to know about this new modern techniques ways of protecting as the generation is changing with more technology which brings many destruction and risk to our valuable treasures. As a professional working in the field of cultural heritage management, I have been involved in the preservation of Buddhist cultural heritage through work on site management projects at Ajanta Caves as well as the Temple at Bodhgaya. I feel privileged to participate in the Treasure Caretaker Training, Digital Monastery Project, a unique project aimed at preserving the precious treasures of the sacred Buddhist monasteries. 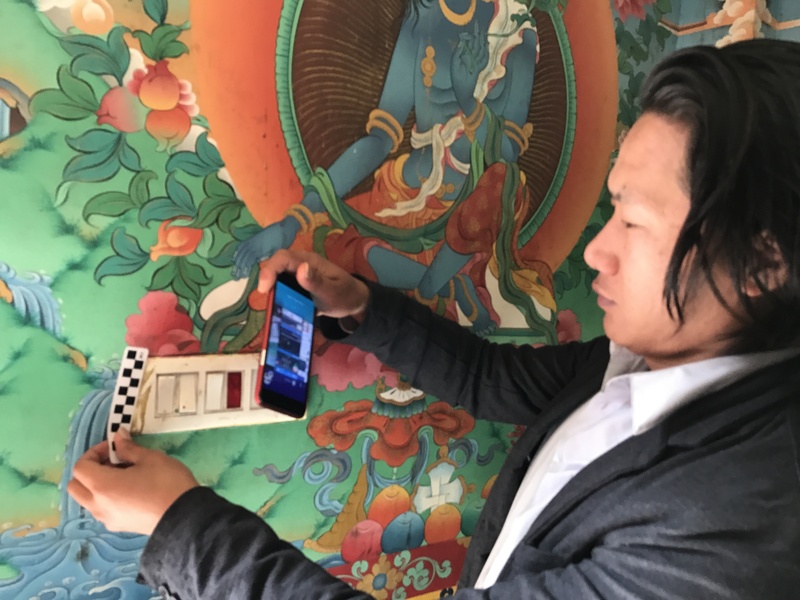 At the core of this project is the innovative use of ICT (Information and Communication Technology) to aid the task of preservation and protection of collections, which are proud possessions of the monasteries, be it traditional costumes, instruments, statuary, or precious paintings. 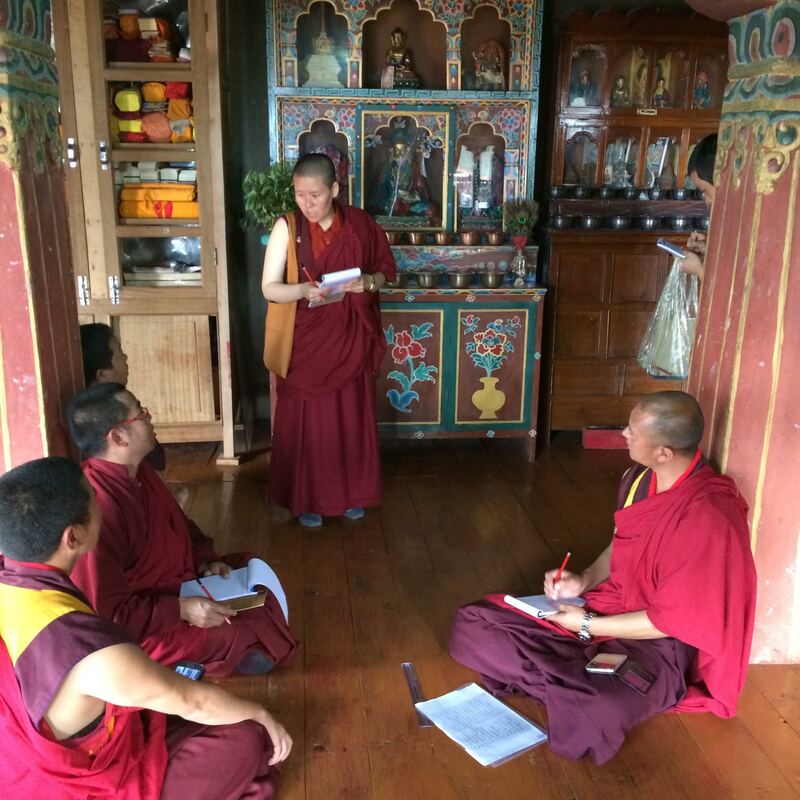 In my role as an educator, it was exciting to interact with the monks and nuns, work together with them in group exercises, role plays, etc. in order to impart the basics of collections management, risk assessment, and preparedness. We used simple techniques such as photography, preparation of digital inventory using mobile phones and laptops, easily available for the participants. It was a great learning experience for me and it widened my horizons of knowledge. 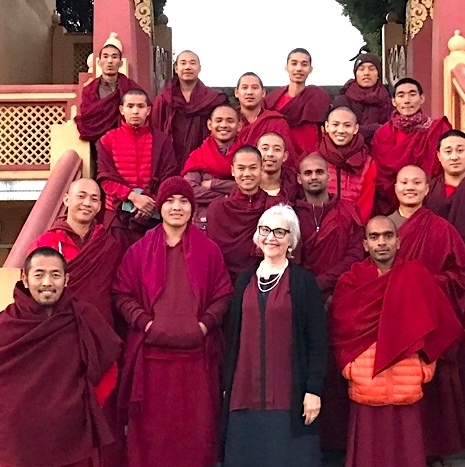 Highlight of the workshop was visit to the monasteries and getting blessings from the Great Gurus and participating in the festive celebrations, which offered a great glimpse into the rich tradition of Buddhism that continues to thrive today. 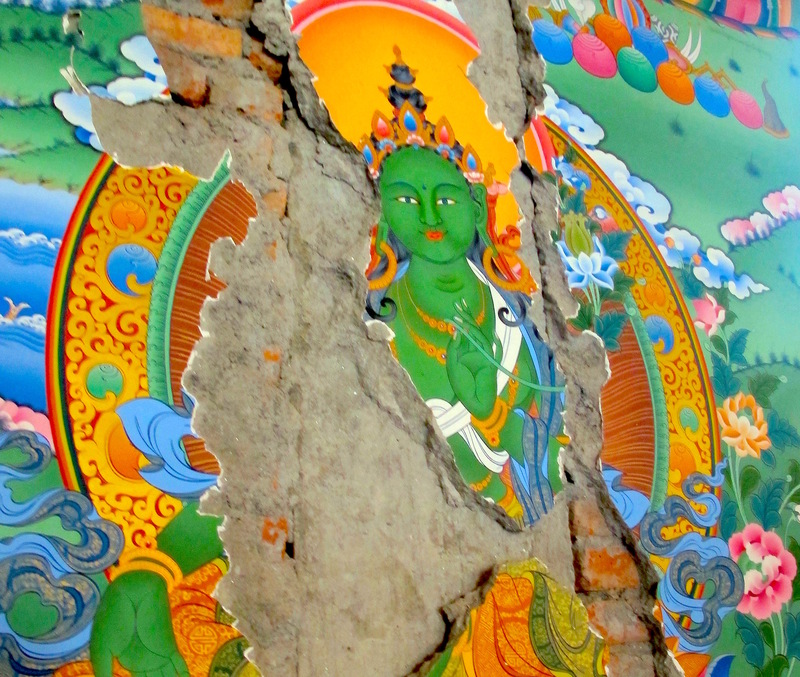 The Digital Monastery Project has provided a powerful tool, empowering the caretakers in protecting their treasures. I am myself thoroughly honoured to be a part of this Project and wish that we get an opportunity to work toward spreading this knowledge to other parts of the world. 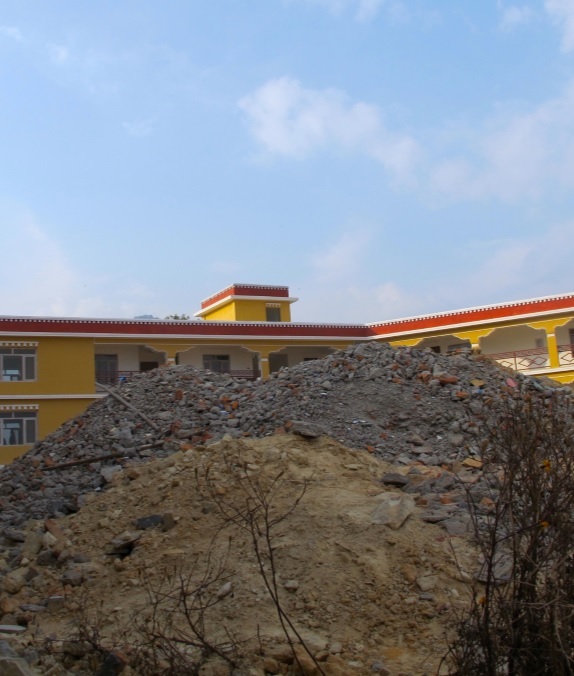 Click below to contribute to our current training in Nepal, and our upcoming workshop in Dharamsala, March 2017, at Library of Tibetan Works and Archives. Each of our project team members has the professional standing, knowledge, experience and will to share. Together they form a strong group ready to teach preservation measures appropriate for sacred Buddhist art in a region beset by theft, political upheaval, and natural disasters. Team members change for each project – please join us!